2015 Longevity award for fineness!!! 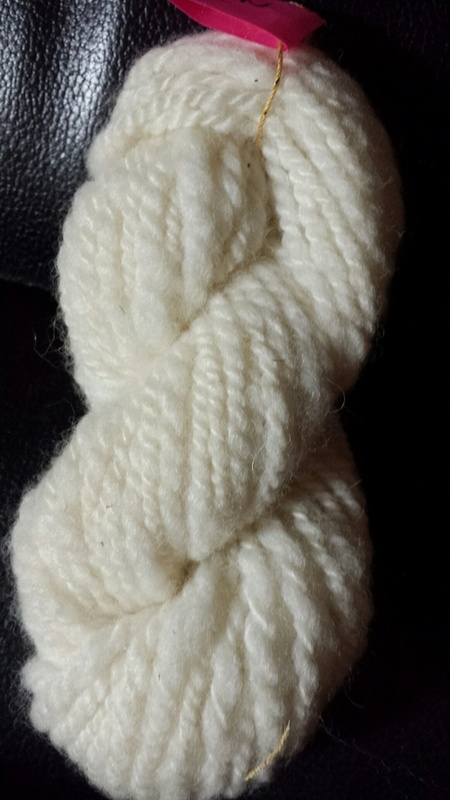 Uniformity of micron, crimp and style throughout his blanket. Still showing a great expression of crimp at his age. Very processable fleece at his age! You don't see animals of his age being shown and it was a pleasure judging him. Dianna Timmerman. 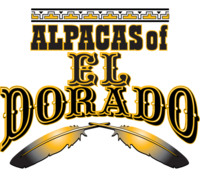 El Dorado Patron commands attention whenever anyone sees him. He has correct compact conformation. Perfect bite and that spongy, soft, dense fleece that you could just curl up in. 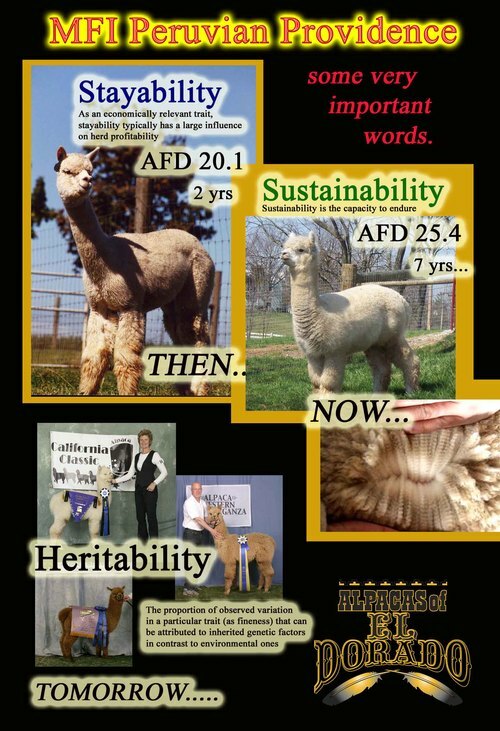 At 6 years old his 2014 fiber stats are as follows - AFD 22.7, SD 4.5, CV 19.8 %>30 6.4. At 7 years old his fiber stats are as follows: AFD 23.6, SD 4.1, CV 17.5 %>30 5.8 !! !With pedigree to burn out of Sire MFI Peruvian Providence who has both Accoyo Titan and Mr. President in his backround. And Patron's dam El Dorado Tequila's Popper is out of MSA Hemingway's Tequila which has the Hemingway bloodline. We think he is the whole package. 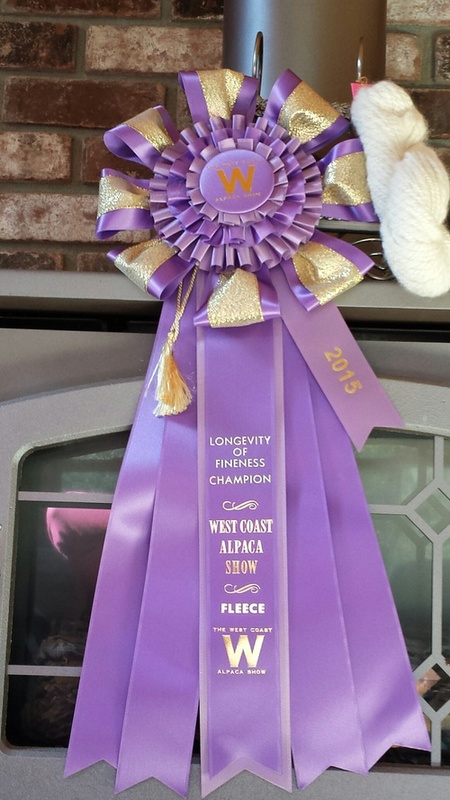 2ND place in Get of Sire for Providence at AlpacaMania. 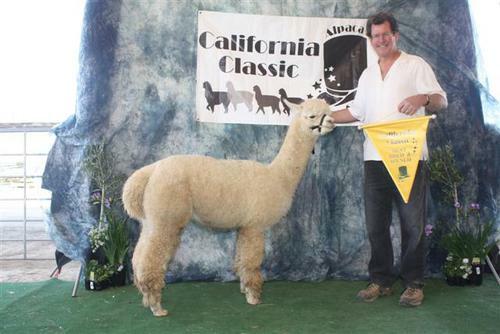 Was part of the twosome that brought his dam a1st Place in Produce of Dam at the California Classic. Patron received a 1st Place in a very tough yearling class at the 2010 California Classic. This put him in the Championship class against his brother El Dorado The Gambler. Both Providence sons, The Gambler won the big prize but we think Patron will mature into an excellent herdsire. Gabrielle Menn - Spongy with bounce, easy to draft, Brightness 5 stars!! Received Champion against all age classes and colors! 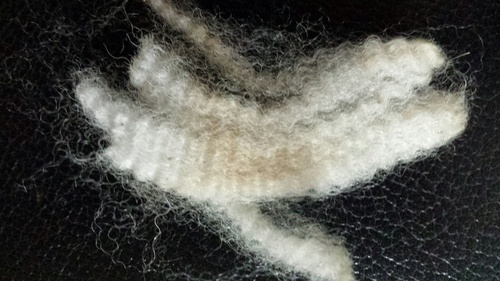 Judge Peter Kennedy said for a male his age his fineness and consistent uniformity and character and brightness throughout his fleece at his age is what brought him to the top. 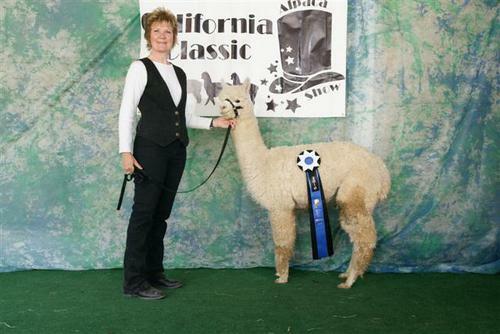 1st Place in a very tough white yearling class at the California Classic 2010. Fiber Stats!!! His 2015 EPD's will be posted as soon as they are calculated.